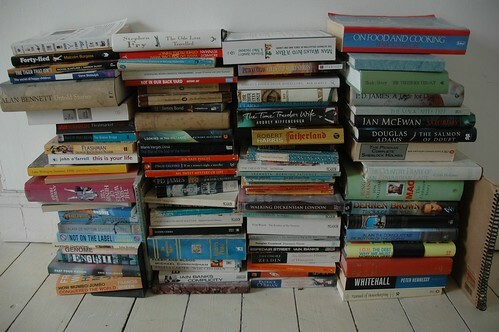 Taking my PADI inspiration today from Grac's picture, here's the teetering pile of books next to my bed, the titles of which seem to describe my interests pretty comprehensively. Looking at this in isolation from the rest of my bedroom is weird. Top book recommendation from this lot - the one on the top right: "On food and cooking" by Harold McGee.